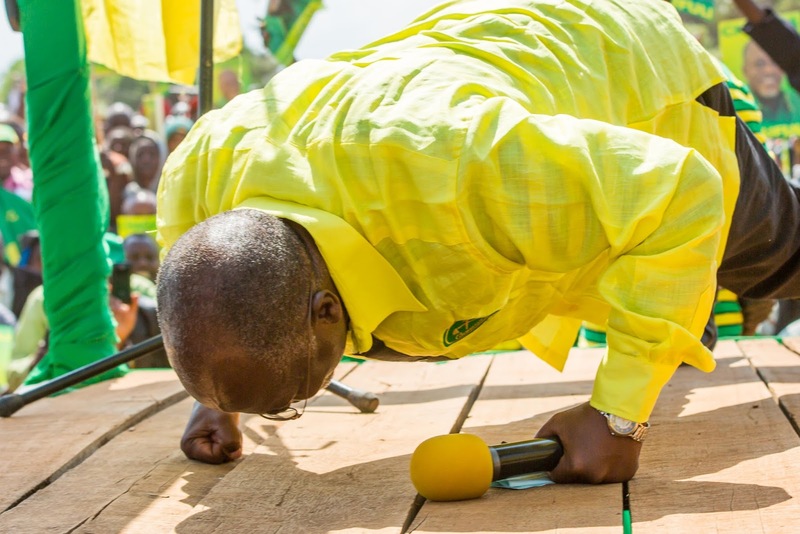 Magufuli a transformative or a perfectionist of status quo? General election of 2015 was one of the toughest in Tanzanian history. John Magufuli, a candidate of the ruling party won the election with the lowest proportionate of votes than any other since introduction of multiparty elections in 1995. With 58% of votes, he assumed power and quickly established himself as the landslide victor. President Magufuli started to take actions that sent clear message that his was not a business as usual administration. For the people who have been advocating for a clean government by fighting corruption especially large scale ones, Magufuli was a welcome leader. Many of us celebrated his actions popularly known as ‘ kutumbua majipu’ and as of the date of writing this article more than 150 people have been sacked from their positions of power. Most notable sackings were at port authority and revenues authority. Achivements received in his first month was massive increase of government monthly revenues collections. The President delivered his maiden speech in parliament that insisted largely on his anti corruption platform and his aim of cutting down unnecessary government expenditures, boosting revenues and industrialization of the economy. He became a talk of the region and sometimes globally. The Economist magazine dedicated an article for him vis a vis a rise of social media in politics ( though everybody knows that he himself is not a tech savy person ). Has 100 days of Magufuli administration defined him of what kind of a leader he is? Can we call him a transformative leader? Is he a reformer? Is he just a perfectionist of the status quo? Archie Brown in his seminal book The Myth of the Strong Leader, describe a transformational leader as ‘the one who plays a decisive role in introducing a systemic change’ whether of the political or economic system of his or her country. ‘ It suggests profound change, but a fundamental reconstruction of the system into one that is qualitatively better than what has gone before’. It may be very early (just 100 days) to define President Magufuli, however the first 100 days may help us to see what kind of a President Magufuli will become. Magufuli took office with a promise of Change. His opponents promised change too. The political group that was a leading opponent had a clear message that it wanted to change the system and they often referred to ‘corrupt system’ or corruption is systematic. Has President Magufuli’s actions against corruption bear any semblance of breaking down a corrupt system? He has fired people and try some in the court of law. He even fired an anti corruption czar Dr. Edward Hosea. We have seen people removed and others replaced and installed. Has PCCB and other accountability agencies changed? These are key questions, very fundamental in analyzing President Magufuli. Our system is characterized by impunity. President Magufuli’s actions have shown that everybody must live in accordance to the law. However he hasn’t done anything to reform the agencies that uphold rule of law and law enforcement. PCCB is still the same. It has no powers to prosecute without permission from the Director of Public Prosecution ( DPP ). In his first 100 days not only has President Magufuli been quite of reforming the institutions, we have seen two parliamentary sessions without any legislation to that effect. Changing heads of these institutions means the President is interested with perfecting the existing system rather than transforming the system that brought him to power. #WhatWouldMagufuliDo became a trending hashtag in twitter. There exists in people’s spirits someone named Magufuli and like a personality cult is being developed. All his ministers are asking themselves ‘ is this the way in which the people expect Magufuli to act? In this regard we have observed a growth of one man show and two principle leaders of the country The Vice President and the Prime Minsiiter being eclipsed. A personality whose work is supposed to be ‘office work’ in the name of Chief Secretary of the country has turned a celebrity. He is being seen making announcements to sack that and change that and early in this administration the Chief Secretary was seen inspecting hospital beds in Muhimbili. Chief Secretary as the disciplinary authority of the bureaucrats shall never be the prosecutor since the people he announces sacking would end up in his desk for appeals. Slowly the country is heading towards a One Man Show and all others ‘Presidents Men’. It is a worrying trend being observed in his first 100 days and it must be stopped. The third phase administration under President Mkapa didn’t allow dissent opinion. Records show that for five years President Mkapa and Prime Minister Sumaye didn’t allow reports of the Controller and Auditor General to be debated in Parliament an important step in building accountability in the country. Works of Public Accounts Committees of Parliament were suppressed and Parliament became largely a rubber stamp of the works of the executive. President Kikwete changed that and strengthened the Office fo the National Audit, allowed Parliament to debate CAG reports and even took actions against Ministers whose ministries had poor financial records. Signs are that President Magufuli will not allow this continue. The formations of committees done recently point to that direction. As far as parliamentary accountability is concerned, this will be a backward move against all the achievements recorded thus far. My judgment of President Magufuli’s first 100 days is that the status quo will continue with some perfections. More revenues will be collected, service delivery in some sectors of the economy ( health and education ) may improve, old corruption will be addressed with vehemence and new ones emerges with treatment of kids gloves but accountability institutions will be hugely undermined. As for Transformational leader, Magufuli is yet to fit the bill.